When it comes to marketing their small business on the internet, most small business owners have been told a lie. They're told that the internet is the best medium on the planet for reaching out and attracting new customers to their business. So the small business owner has a website built and waits for the flood of new visitors to become new customers. And waits. And waits some more. You see, the truth is that having a company website is not enough to attract new customers to your business. It's not the small business owner's fault, and it's certainly no fault of the internet. The problem lies in how today's consumer shops online. Here's the harsh reality: consumers are not looking for your product or service on the internet. Let me say that again: they're not looking for your product or service on the internet. What they are looking for is an answer to their question or a solution to their problem. As a small business owner (or someone who just wants more customers) the million dollar question that you have to ask yourself is this: "Have I positioned my business to be the solution that someone is searching for online?" If your answer is yes then you'll be attracting new customers on the internet from now until years to come. 1) Prospects are searching for your product or service on the internet. 2) Prospects will do business with you once they find you on the internet. 3) Prospects can decide on their own what action they will take. If after reading the three statements above there are no alarms going off in the back of your business brain, then do yourself a favor and consider buying this book. The fact of the matter is that every day more and more consumers are making the internet their first choice when it comes to shopping for a product or service. They know what they are looking for (or they can certainly do a search for it- whatever "it" is) but the vast majority of small to medium sized businesses do not know how to connect with these searchers in any meaningful way. That is to say- they cannot connect with these potential customers when the customers are actually searching online; if they do happen to connect with these searchers then the small business owners do not collect the searcher's contact information, and if they do happen to collect the contact information then there is no offer made that would compel these prospects to become customers. If this scenario sounds familiar to you or for whatever reason you are struggling with getting new prospects into your pipeline, then use some of the principles that I talk about in the book.You will (hopefully) be pleasantly surprised about what you can do to turn things around and start to use the internet the way that it was supposed to be used: to connect with your prospects in a meaningful way, provide value to them and build a relationship so that you are the only person/business/entity that they would want to do business with! If you'd like to hear a free recorded message where I elaborate on some of these strategies and talk about how to overcome the three misconceptions mentioned above then call 1-800-687-0540 now and start implementing these solutions today! Has the internet taken away some of your business? Do you not only want to get it back but also attract new customers? If you have a local-based business looking for customers from your local areas and environments, then you really need to be targeting local clients online! The only way to do this is by appealing to the customer – people no longer reach for the Yellow Pages when they look for a local business, so you need to be making your online presence felt. Naijasky.com is an online advertising platform, which enables you to display adverts for your business and your business can easily be found ongoogle search engine . You can also advertise on AdWords which works on a pay-per-click advertising basis, whereby you only pay when somebody clicks on your ad. You can set up your own budget and your own geographic boundaries; you write your own adverts and can refine them over time to ensure you get the best results. AdWords is a brilliant tool for small business owners - it's fast, it's flexible and it's very measurable. But what if you are only looking for local customers? If you are a small to medium sized company targeting local customers what makes Naijasky.com platform is divided into local councils areas and towns such a key marketing tool is the location targeting feature. This feature allows your ypir business adverts to appear in the geographic locations target ring your local customers as well as any additional areas around where your business is based. Location targeting helps you focus your advertising on the areas where you'll find the right customers, so for you it may be targeting customers within your local council area or maybe you want to target other local council areas around your local council. This feature allows you to display adverts to people who are located in the specific areas you choose. This is a very targeted approach, and the best news is this: you can start Free from your local council at https://naijasky.com/naijatowns . In addition, With a Google pay per click campaign you decide how little or how much you spend per click, and how much you spend per day - so you are totally in control. Google's recent upgrade to 'Enhanced' Camapigns is ideal for local businesses - it allows you to increase or reduce bids by location, but also by device (ie mobile phone or desktop computer). A high percentage of local searches are now done on mobile phones, and Google Adwords allows you to target mobile searchers where the click-throughs and conversions are often much higher. So how can you improve your local Google ranking with SEO? This includes a search of your industry and what keywords are consistently getting the best results. So in the local Nottingham area we can see what your direct competition is doing to boost traffic, and therefore plan a campaign around that to help you get ahead of them. A single keyword often lacks accuracy and in some cases may even apply to too broad a topic. A keyword phrase on the other hand, is often more successful in boosting website traffic. Put yourself in the position of the prospect, what would they search for to find your business? ‘Joiners in Nottingham’ would be more successful than simply ‘joiners’ on its own because it is more geographically specific, helping you appear much higher on the list. Google puts a high importance on hyperlinks, links both to and from your adverts pages as listed. It is often advised that you use links as not only a way to boost site traffic, but also to help emphasise your keywords i.e. ‘read more about our service as local Ikeja reastaurant with this key phrase being a link to your website. Social media such as Facebook, Twitter, Google+ and LinkedIn are a great way to interact with your customers and get your brand across. Facebook ads are a great way to target local customers - like Google Adwords you can show ads only to people from within the Nottingham area (see How to set up a Facebook advertising campaign). Twitter can also be very effective - you can use services like http://www.twellow.com/ to find people on Twitter in Nottingham. Whilst it is a great way to promote yourself, with the exception of Google+, it may not directly affect your Google ranking; it does remain a fantastic tool to get you noticed, particularly if you are a small Nottingham business attempting to build clientele. Online marketing has now opened up a new avenue whereby we can communicate and keep up to date with clients. It has become vital that you efficiently market your business on the internet to raise your profile and help see a significant increase in business, if you play your cards right you will even start to prise away business from your local competitors. Website design, graphic design, multimedia packaging, IT Consultation and internet related services to owners of privately owned growing businesses. Offer the standard general creative graphic and media design services which include Digital Graphic Design, Branding (including eBranding), Web Presence, Design and Development, Interactive Media Design and Development, Multimedia for all display screens, Viral Campaign Planning + Deployment, Mobile Phone Apps. Website desining, re-designing, content management systems, interactive & animated websites, e-Commerce website development and google web promotion. Address: 13 Macdonald Road, Ikoyi, , Lagos State. Address: House 5, Flat 6, Jeguin Estate, Behind V.I.O, Mabushi, Abuja. "Who Else Wants To Discover How To Buy & Sell Websites For Profit -- All From The Comfort of Your Home?" 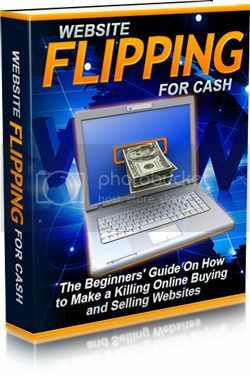 Recently, a new breakthrough in website flipping was discovered and reported in an amazing new eBook called Website Flipping For Cash. 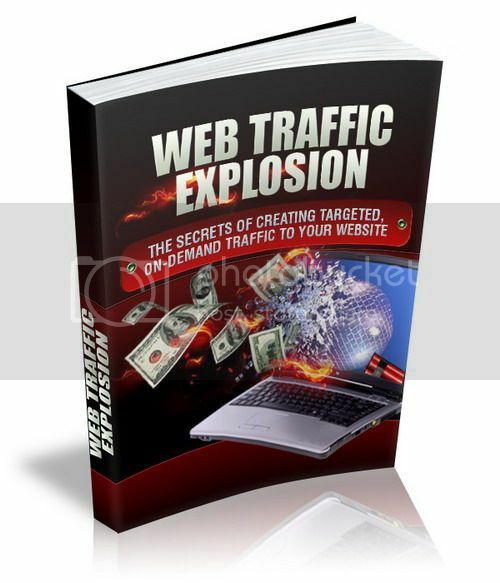 Because, every bit of this eBook is packed with the latest cutting edge information on buying and selling websites and it took months to research, gather the data and compile it into this amazing new eBook. Because you see...this isn't some off-the-wall, slapped together eBook! But best of all... This eBook is written in plain, easy-to-understand English (This means that you won't find any super complicated technical jargon here) - It's written to be dead-easy to read and understand, and it's laid out so you can easily follow it. Yep...I will raise the price to $47, and honestly I have to - because the demand is growing so fast.